Kentucky health leaders have dismissed the Department of Public Health’s infectious diseases chief at a time when the state is working to contain the nation’s worst hepatitis A outbreak. Dr. John Bennett, the state’s infectious disease branch manager since last fall, told the Courier Journal on Monday that he was dismissed last Friday but said he was not given a specific reason. Bennett said he had no information to suggest it was related to the state’s recently criticized response to its hepatitis A outbreak. First declared in November 2017, the outbreak later exploded in rural Kentucky, mainly among drug users, and grew into the nation’s deadliest. The outbreak has since sickened 4,419 and killed 52, according to the latest state report released Monday. 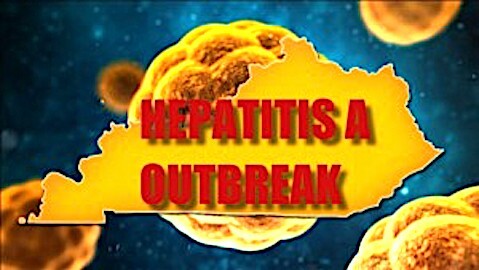 Kentucky has had more deaths than any of the other 17 states with similar hepatitis A outbreaks. “…As of April 5, 2019, 72 cases of Escherichia coli O103 have been reported in a 5 State E-coli outbreak. 36 of those cases are scattered statewide in Kentucky. Currently there are no cases reported in Lawrence County. There have been cases in Pike County. No determination has been made regarding the cause of this outbreak. The CDC is not recommending that consumers avoid any particular food item in restaurants or purchased from retailers. Please feel free to contact the Lawrence County Health Department for more information about the outbreak and/ or Escherichia coli O103.”. Doug Hogan, a spokesman for the Cabinet for Health and Family Services, confirmed that Bennett no longer worked for the Department for Public Health but said the cabinet typically does not comment on specific personnel issues. Bennett, who earned $127,500, was hired last September to replace his predecessor, Dr. Robert Brawley. Brawley was told on June 4, 2018, that his services were no longer needed, and that the action was being taken without cause, according to a letter obtained by the Courier Journal. He was allowed to resign. Earlier in 2018, Brawley lobbied for a more aggressive state response to the outbreak. He recommended $6 million for vaccines and $4 million for temporary workers in thinly staffed local health departments and also called for a public health emergency declaration to help pave the way for federal assistance. Instead, the Department for Public Health, led by Commissioner Dr. Jeffrey Howard, sent $2.2 million in state funds to local health departments and declined to declare an emergency. 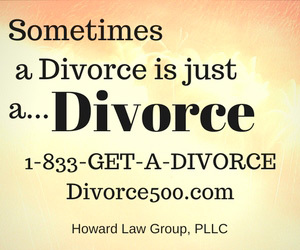 Howard has told the Courier Journal that he was willing to seek more funding if needed. Top state health officials have defended their approach, arguing they used limited budgets to target hard-to-reach rural drug users at county places such as jails, syringe services programs and drug rehabs, and that the state funds were in addition to local funds and federal vaccine and money. Hogan last month said that hep A case numbers have been trending downward for several months. The state recorded 28 new cases statewide in the week ending March 23, compared with 36 the week before and a high of 151 cases per week last fall. It is now in 105 of the state’s 120 counties, Monday’s report said. State officials have previously said the infectious disease branch manager is just one part of a larger public health team working to contain outbreaks. State Sen. Morgan McGarvey, D-Louisville, said that while his measure directing the state to review its response did not pass both houses in the recent legislative session, he will continue to seek information about how state officials handled the outbreak to improve future responses.